The 5 sentence guide on how young black males can avoid having problems with the police. Apparently a certain percentage of people especially black can't seem to comprehend the obvious. 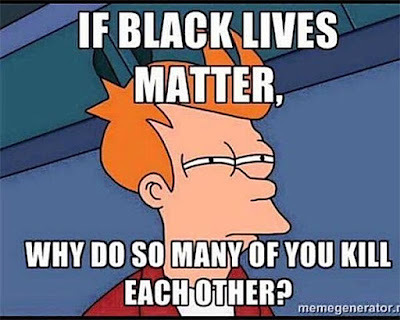 I've been told by the "street smart" blacks that I am not down with how the police "really are". I laugh, when I hear these fools try to make 1+1 into 5. It's not a mistake, timing or whatever that I have never had a problem with the cops as a black man living in Baltimore in my entire life. First off, I've never had the desire to do things that would draw attention from the cops to begin with. 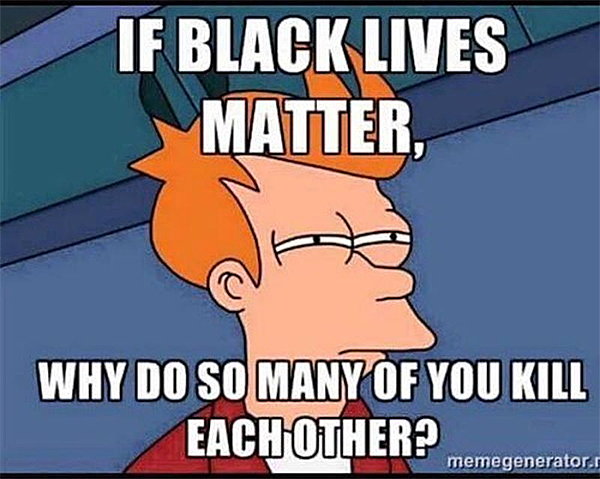 For example, there is a reason why cops engage black men standing on street corners. Loitering is usually against the law anyways, Second, many open air drug transactions in inner cities happen on street corners and where people are gathered. .The statistic I want to see in order to establish a ratio percentage is to take the number of black men who claim they are harassed by cops and then compare it to whether they have a criminal record. Of course there are times when a truly innocent black male could be in the wrong place at the wrong time and thus arrested for being perceived as taking part in a criminal activity with others, but that's not the norm. The solution for black males to not have to deal with cops is again so obvious, yet sadly a certain percentage of young blacks will never figure it out thus they cycle will continue. 2. STOP HANGING AROUND SO CALLED FRIENDS WHO ENGAGE IN CRIMINAL BEHAVIOR!! 3. FINISH SCHOOL AND GET A JOB! 4. 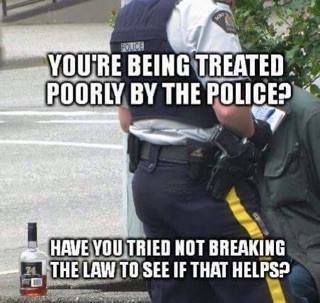 DON'T BACK TALK POLICE OFFICERS! 5. TAKE RESPONSIBILITY FOR YOUR OWN DECISIONS AND ACTIONS WHICH PUT YOU IN THAT BAD SITUATION TO BEGIN WITH. I'm not exactly sure what to make of the first prime time GOP debate last week. I want to compare it to a combination between a bad soap opera and a tabloid television show. I can't believe I would ever say that Megyn Kelly of Fox News was responsible for that happening, but she was. The attention was clearly going to be on Trump going in, and it sure was! Megyn Kelly made sure of that. Debates should be about tough hitting questions "of relevance" from the moderators, but the questions Megyn pressed to Trump were more of cut and splice attack questions then anything else. It was no secret that Donald and Rosie O'Donald did not like each other. 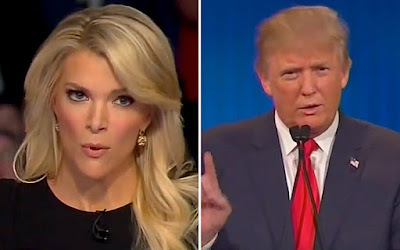 Both have called each other some harsh names over the years, however I have never known for Donald Trump to ever been referred to as sexist who has waged a "war on women", but that is what Megyn tried to frame Trump as. Ruppert Murdoch who owns Fox News is a big amnesty "and Jeb Bush supporter", so that is why many are wondering did "the boss" give Megyn her marching orders on how to handle the debate in order to help a pro amnesty Jeb and bring down an anti amnesty Trump. Well if the intent was to make Megyn the attack dog against Trump, the plan backfired. Trump's poll numbers post debate are still holding steady and further bad news for Murdoch and the Republican establishment is that their beloved Jeb Bush's numbers have fallen. I predict that Megyn Kelly's ratings are going to fall as well. She got toasted after the debate. Even Rush Limbaugh went after Fox News and Megyn Kelly for the Pearl Harbor attack on Trump.. So did Megyn Kelly unwillingly do what the left,, Media Matters, MSNBC and CNN couldn't do, cause Fox News to start losing viewers? If conservatives start to see Fox News in the same light they do MSNBC, CNN, ABC, NBC and CBS, Fox News is going to have a big problem on their hands.